Making this Orange Peppermint Goat's Milk Soap, is incredibly easy! You need just 3-4 ingredients! 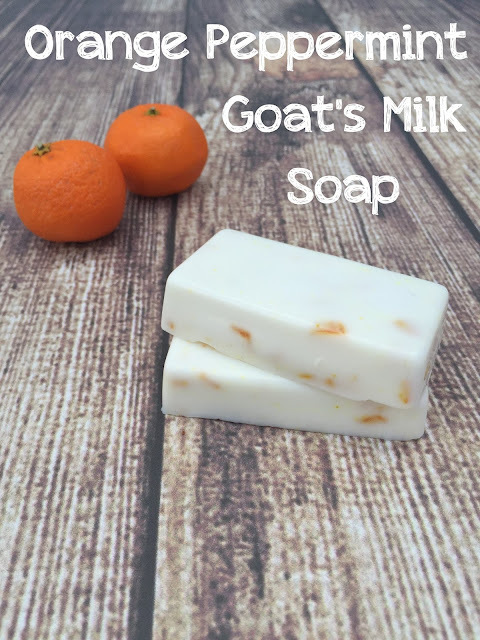 I used a Goat's Milk Base from Hobby Lobby, Orange Essential Oil, Peppermint Essential Oil and I also used Orange Zest to add some color to the soap, but this isn't necessary! -Quickly add in your oils and orange zest and stir to combine.